I liken it to GQ: dapper, stylish and debonair. What do you consider a “fashion don’t”? What is your favorite piece of clothing and why? What do you consider a must-have accessory? What is a fashion crime you have committed in the past? I have worn wool pants and linen jackets together, but once I saw an image of myself wearing that combination, I could see how awful it looked. I love Men’s Wearhouse; they always take great care of me. Jojayden on 53rd in Hyde Park is where I go when I need to take fashion risks. 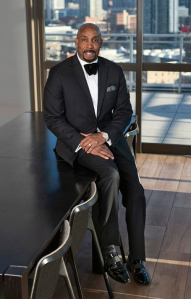 I also love Erick Knowles Jr.’s suit store, GQ Gentlemen. What, besides your wardrobe, completes your look? What is in your bag/briefcase? A Gucci wallet, business cards, a cell phone charger and tons of ADT Security Gift Certificates … Gum if I don’t forget! 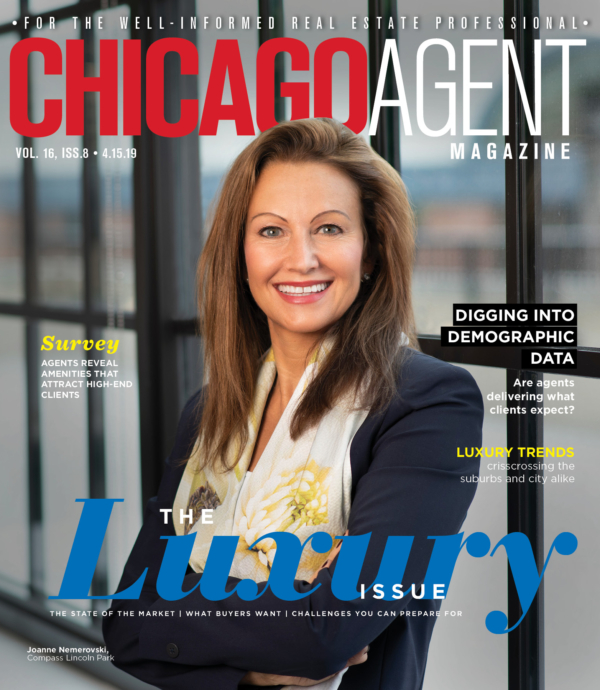 Copyright © 2019 Chicago Agent magazine. An Agent Publishing Company. All rights reserved. Reproduction in whole or in part without permission is prohibited.